I’m a bit behind as we’ve been away, and haven’t completed August’s block yet, so I think October will be catch-up month! 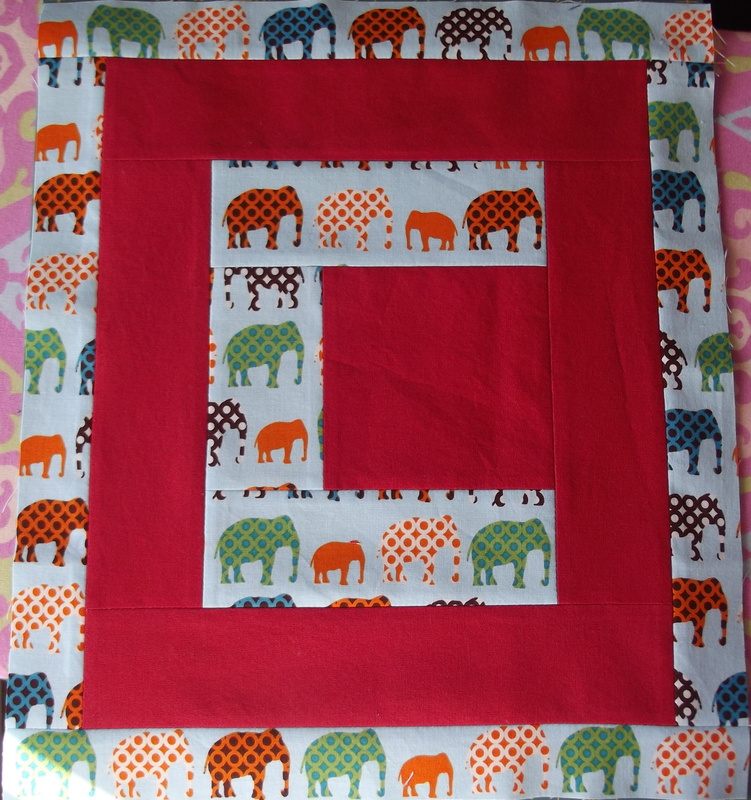 I think it’s a pretty looking block and it was quite easy to make. I chose pink, yellow, green and blue to make it in this month. I’m taking part in the Easy As ABC Quilt Along, making five letters a month so that by Christmas I’ll have a finished alphabet quilt. 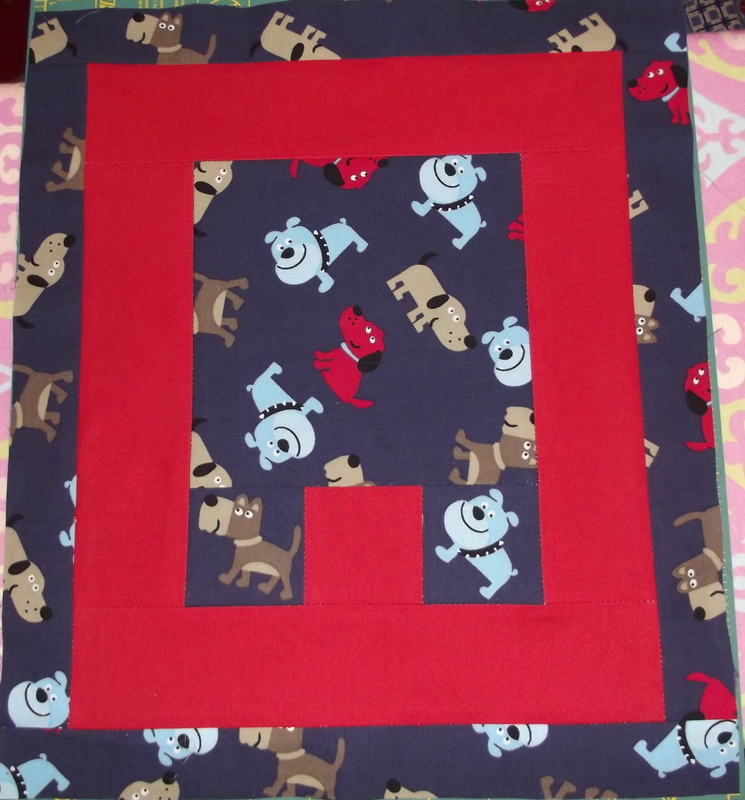 I have lots of boyish fabric, so I’ve chosen to use that, with an alternating background of red and blue to make my quilt, rather than the rainbow theme that I know lots of other people are following. 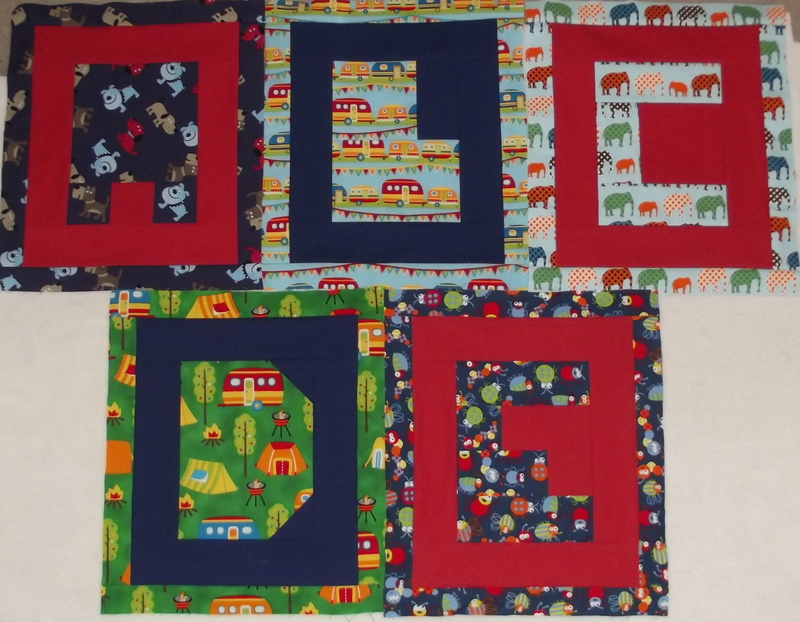 Some blocks are going to have larger patches of letter than others, so I just need to arrange them as we go so the fabric with the larger prints fall on these letters. 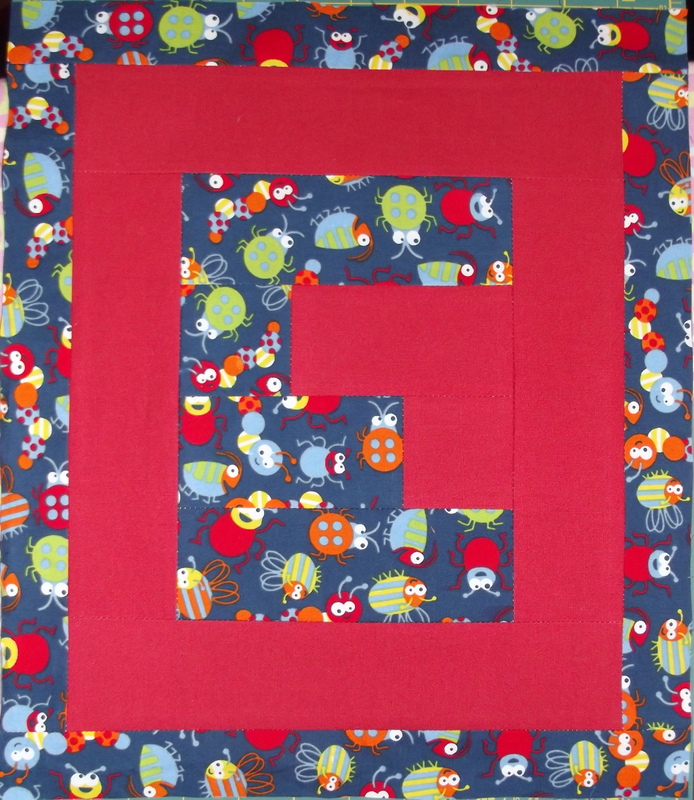 This month we made the letters A-E.
You can see the letters that other people have made over on Blossom Heart Quilts. And since it’s August tomorrow, I guess it won’t be very long before I’ll be starting on F-J! This month’s block for the Mondern Blocks Quilt A Long looked a bit more difficult than the last one, and I have put off doing it for a while. But with only a few days left of the month I couldn’t leave it much longer! I needn’t have worried. It looks harder with the diagonal lines, but in fact it was very simple, and now it’s finished it looks very pretty. 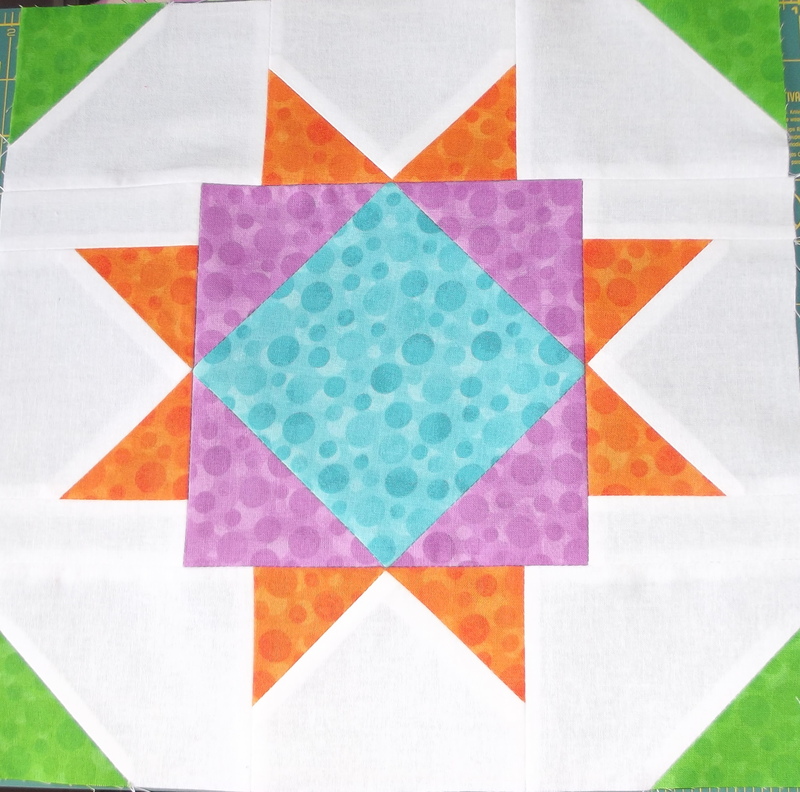 This month’s block is called Megan’s Star and the tutorial for it can be found on the blog Samelia’s Mum. 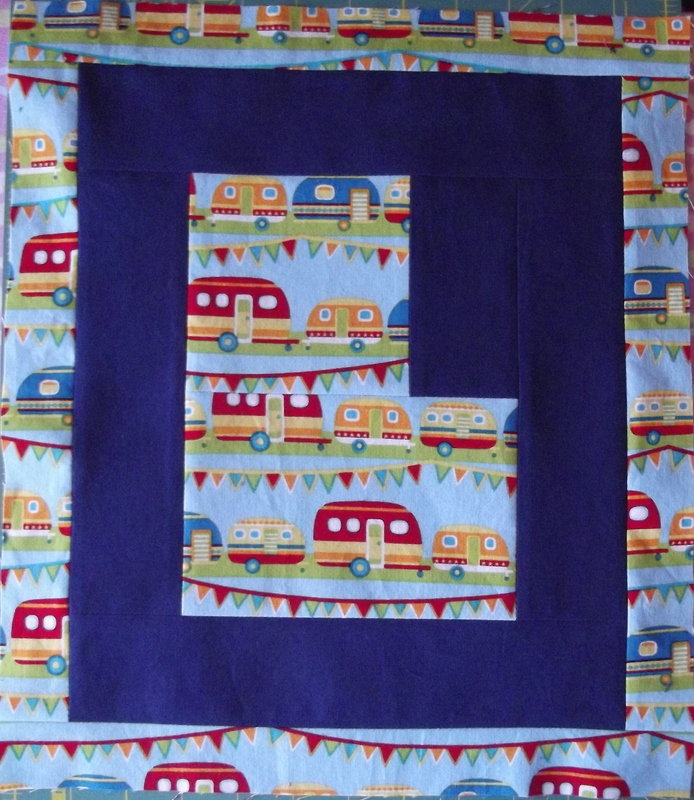 You can see all the other blocks people have made and linked up over on And Sew We Craft. 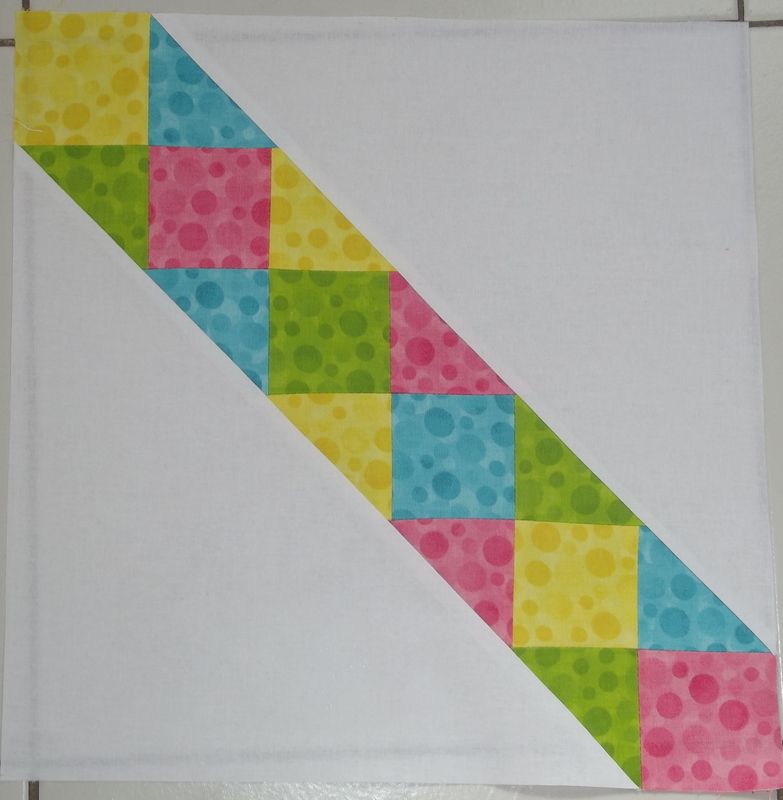 I was a bit late joining the Modern Blocks QAL, so that it was already the end on May before I started my first block and the second block was being released. This meant that I completed a block two nights running! 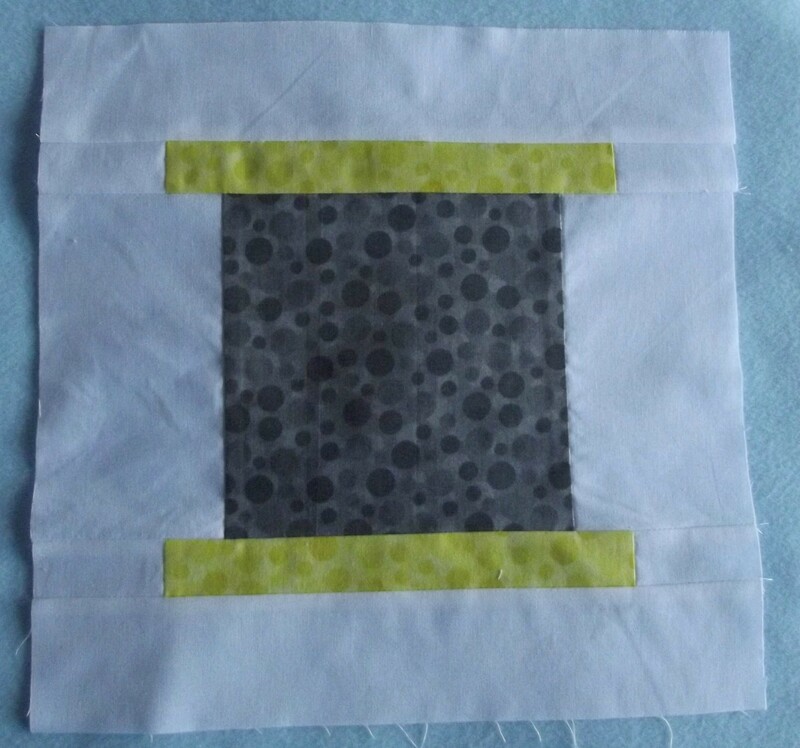 This month’s block is called Spool because it’s meant to look like a cotton reel/spool. The tutorial was posted over on The Crafty Mummy. It was soo much easier than the May block. I enjoyed making it because I had a much better idea of what I was doing and knew it would turn out OK. 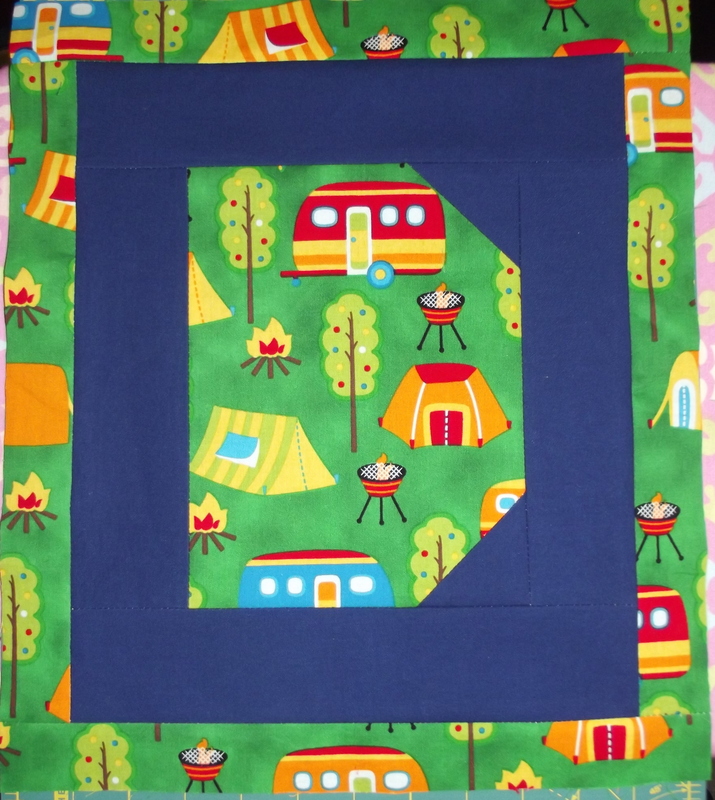 It consisted of making 5 rows and then sewing all the rows together – all straight lines and no diagonals! 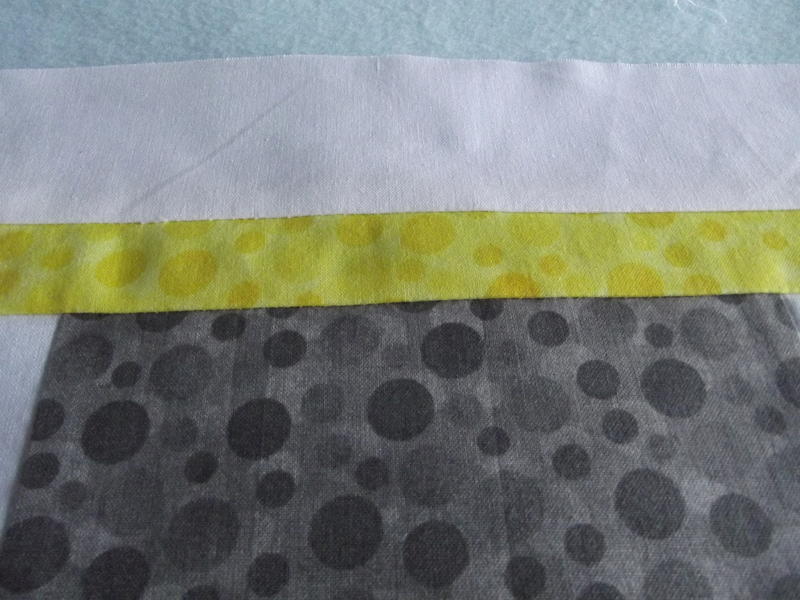 I’m using these spotty fabrics with a white background so I decided to choose some different colours of it this month and went with grey for the main block and yellow for the two ends. 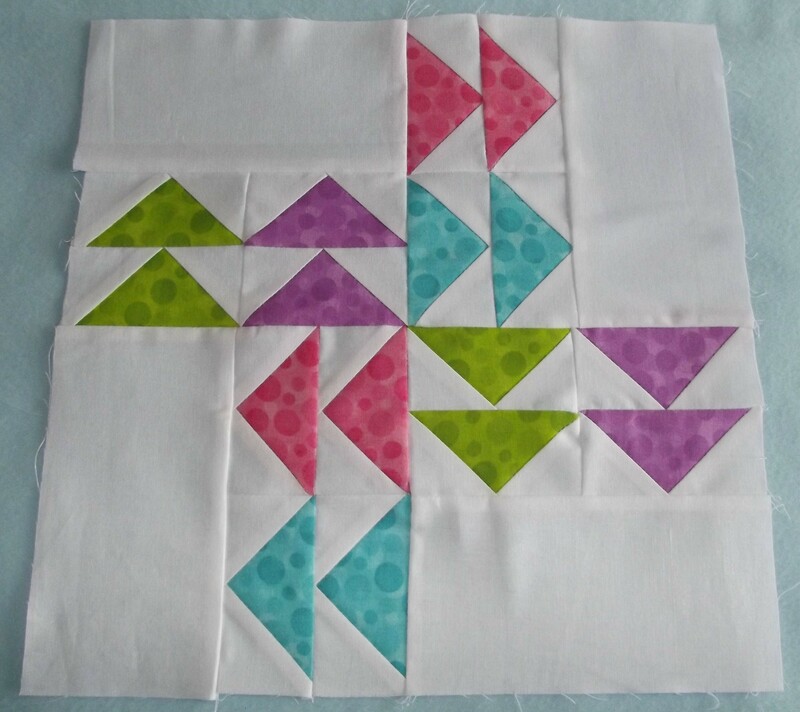 You can see all the other blocks that people have created over on the Modern QAL Block 2 Linky Party. I wonder what my July block will look like?! I can’t resist a sew-along, and especially not one that has competitions and prizes along the way, so I’ve signed up to do the Modern Blocks Quilt- Along (QAL) over on And Sew We Craft! There’s a tutorial for the block each month but we were also recommended to get ourselves a copy of the book. Being somewhat impulsive and impatient I wanted it NOW and didn’t want to wait a few weeks for it to arrive from overseas so I opted to get the kindle version! (If you click the book above you can actually see several of the blocks using the ‘Click to look inside’ feature if you fancy checking some of the blocks out) It is also available as a kindle version from the amazon.co.uk site. In reality though, taking it one step at a time, it was perfectly do-able. You make lots of rectangly triangle pieces called geese and then position them so it looks like they’re flying in a circle following one another. 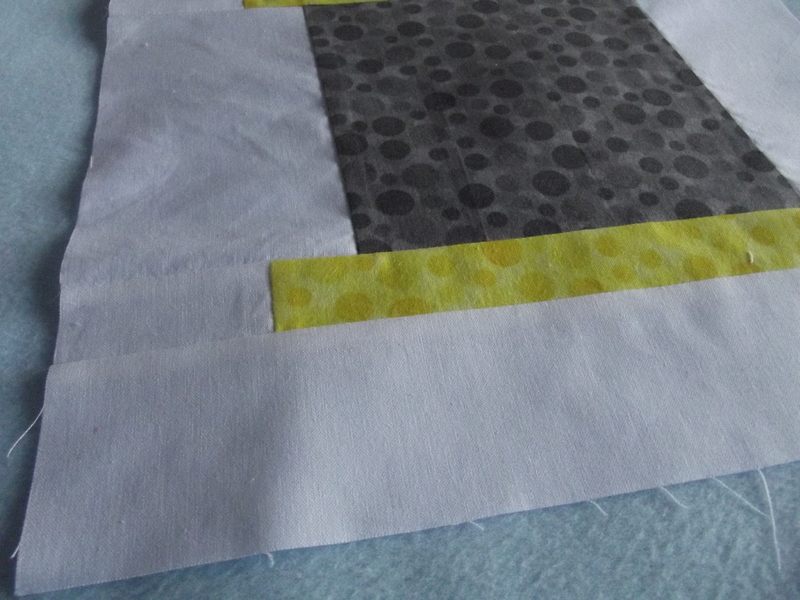 I’ve decided to use some multicoloured spotty material that I have as a jelly roll and FQ pack to make my blocks with white as the background. This month I’m using the red, blue, green and purple to make my geese. 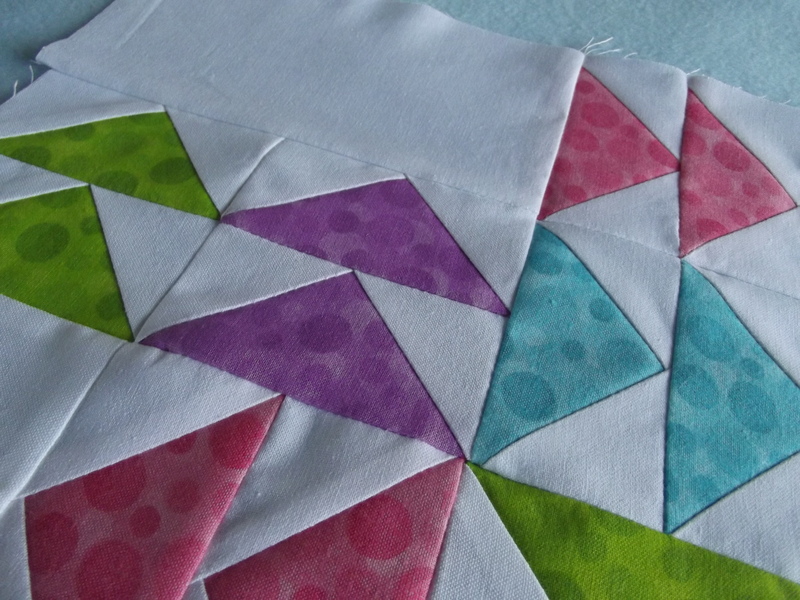 You can see all the other blocks that people have made by visiting the Block One Linky Party page.